The San Francisco Symphony is pulling out all the stops in this week’s program of difficult to sell repertory. The Symphony is to be commended for making an effort to put this excellent music before an unsuspecting public. The culprit is Debussy’s mammoth choral work, Le Martyrdom de Saint Sebastian. For those ready to reprimand me it is not a choral work, that’s because it is rarely performed in its entirety. The work calls for the huge forces representative of its time– the same forces that can break the budget of all but the most committed organizations. This performance will be semi-staged. 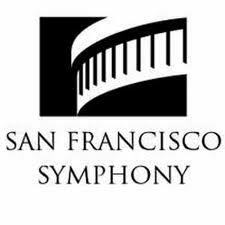 The SF Symphony has a mixed record in its staged productions with too much emphasis on concept, and too little quality control in execution. Perhaps the presence of the artistic director will help give the event focus. The program would be worth it alone for the chance to hear Janacek’s Sinfonetta. The mammoth brass (including 9 trumpets) should jolt everyone out of their seats. Hopefully von Stade’s fame will lend itself to exposing the audience to this piece they will like. Hopefully they might buy tickets to the next Janacek opera rather than turning them in for yet another Carmen performed by big-name stars. Don’t get your hopes up. The program runs Thursday through Saturday night. Tickets are available here.